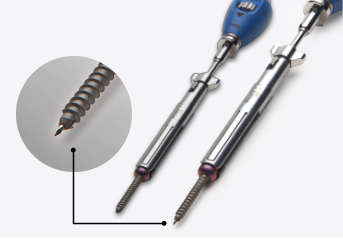 Premia Spine was granted FDA approval to commence an IDE investigation of the TOPS System in 330 to 476 patients at up to 30 investigational centers in the United States. Patients are randomized into either the TOPS (220 patients) or fusion arm (110 patients) of the study. If you have symptoms of spinal stenosis and spondylolisthesis, talk to your doctor about all your treatment options, and find out if the TOPS™ System trial is the right option for you. Or fill out the form and we’ll put you in touch with one of the surgeons in the study. What is the Goal of the TOPS Clinical Study? Physicians will be comparing the TOPS to lumbar fusion in a randomized clinical trial. This pivotal study is designed to determine the safety and efficacy of the TOPS implant, after which the U.S. Food and Drug Administration (FDA) will determine if the device will become available to the general public. In the IDE approval, FDA designated the TOPS System as a Category B device and CMS has since granted pre-approval for the coverage of routine care and services, including the device, furnished to Medicare beneficiaries enrolled into this trial. How Does the Surgeon Decide if I Qualify? Upon reviewing your MRI, CT scan, and/or X-rays, your surgeon may diagnose you with spinal canal narrowing (stenosis) and a slipped disc (spondylolisthesis), and recommend surgery to open your nerve pathways. After assessing these factors and others that are required according to the FDA study criteria (e.g., single-level indication, no severe scoliosis, etc. ), the surgeon will consult with you and allow you to decide if you want to participate in the study. 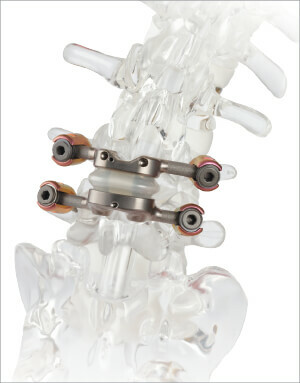 If you decide to enroll in the study, you will either receive the TOPS device or spinal fixation. Two-thirds of patients will receive the TOPS and one-third will undergo the gold-standard fusion procedure. If you choose to participate and you qualify for this study, you will not be able to choose the group to which you are assigned. Your treatment assignment will be made by randomization, a method similar to tossing a coin. You will have a two in three chance of receiving the TOPS System (67%) and a one in three chance of receiving posterior lumbar spinal fusion (33%). Mark is a participant in the TOPS clinical trial and would recommend it to anyone. Hear his story. How is my Pain Relief and Recovery? Pain relief is achieved when the surgeon removes the bone elements that press on your nerves. This procedure is also known as a “decompression”. After the decompression, the surgeon will either implant pedicle screws and fusion rods or pedicle screws and the TOPS to replace the diseased skeletal structures and stabilize the spine. Has this Type of Surgery Ever Been Done Prior to this Clinical Trial? Yes. TOPS is approved and used in Europe for many years. The TOPS completed a pilot study in the United States. Wade describes his recovery and return to activities he never thought he’d be able to do again. You will be evaluated at regular follow-up visits. There will be one visit 6 weeks after surgery, then other visits at 3, 6, 12, and 24 month, and annually thereafter until the study ends. During these visits one or more medical professionals will evaluate your physical condition. Enrollment in this study requires that you complete all follow-up visits in a timely manner. This is an agreement that you make with the physician and the sponsor of the study. No matter what your assignment group is, your follow-up data is very important to help determine the safety and efficacy of the TOPS device. Mark describes the advantages of being more apprised of his clinical progress through regular ongoing surgeon check-ups. What are the Benefits and Risks Associated with the Clinical Trial and Surgical Procedure? The risks are the same as those associated with fusion spine surgery. If you are interested in enrolling in the study, you will be asked to sign an Informed Consent form that contains a list of potential adverse events. The physician conducting this clinical trial will have a detailed discussion with you prior to enrollment in the study. This trial is being conducted under the auspices of FDA. Additionally the hospital’s associated Institutional Review Board has approved this clinical trial. The TOPS System is indicated for patients between 35 and 80 years of age suffering from neurogenic claudication resulting from degenerative spondylolisthesis up to Grade I with moderate to severe lumbar spinal stenosis and either the thickening of the ligamentum flavum or scaring facet joint capsule. Degenerative spondylolisthesis refers to an abnormal alignment with slippage of one spinal vertebra in relation to another that can cause pain in the lower back and legs. This condition can often occur concomitantly with a narrowing of the spinal canal, compression of the traversing nerves, and also increased abnormal movement of the two vertebrae in relation to each other. The TOPS™ System is intended to provide stabilization following decompression in skeletally mature patients with disease at one level from L2 to L5 who have not achieved sufficient symptom relief with prior conservative care. Bonnie explains her thoughts and the treatments she pursued before undergoing spinal surgery. 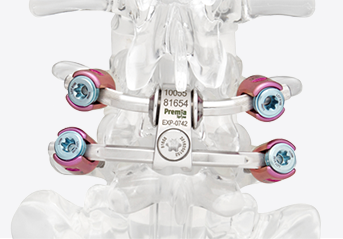 US patients are directed to this section of the Premia Spine website for all information related to the TOPS™ System. While the TOPS System has approval in Europe, Australia and other countries, it is an investigational device in the United States and limited by Federal (or United States) law to investigational use.